Winter may have barely begun but here at Naudic HQ we are already preparing for the hottest part of the year, shooting our High Summer 14-15 range. 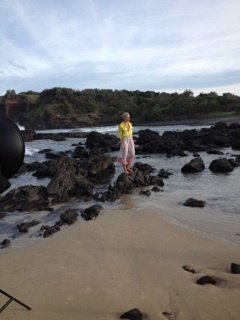 Yesterday we photographed our favourite pieces from the range on location at Lennox Head in northern New South Wales. Lennox Head was a spectacular shooting location. We couldn’t have asked for better weather — it was like a true summer’s day with clear skies and a bright blue sea. Believe it or not, it was even warm enough for a swim! Following the success of our spring shoot at Spicers Hidden Vale, we seized the opportunity to work with Atmosphere Photography again. They are a delight to work with, complete professionals and great company for a day on the beach. Our model for this season was the exceptional Kate Dillewaard from Vivien’s Model Management. She has an effortless style and really embodied the Naudic look. These pictures barely scratch the surface, so stay tuned for more in the coming months!